SOPHIA, N.C., Dec. 19, 2018 (GLOBE NEWSWIRE) -- Roy Hill Enterprises, Inc. is offering several drag strip racing cars for sale on the online auction marketplace AuctionDeals.com. The vehicles for auction, a 2012 Cobra Jet, 2001 Chevrolet Camaro, and a 2010 Jr. Dragster Half Scale, have been engineered and customized specifically for the sport racing industry. Roy Hill Enterprises is owned and operated by drag racing legend, Roy Hill. Mentored by NASCAR Hall of Famer Richard Petty, Hill honed his skills first as a driver, then eventually as a team owner in the drag racing arena. Throughout his career, Hill acquired over 28 International Hot Rod National Victories as a driver and team owner. 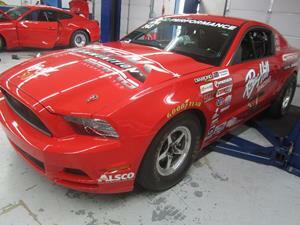 A 2012 Cobra Jet in running condition and ready be raced on drag strips only. It has a 5.4 Cobra Jet engine, ATI Transmission, and state of the art Strange struts. The Cobra is listed as a very competitive car that can run Stock or Super Stock races. A 2001 Chevrolet Camaro, also in running condition, was specifically built for Rick Hendrick of NASCAR fame. The Camaro has a state of the art 358+ NASCAR Engine built by Hendrick Motorsports, along with many other top of the line parts. A 2010 Jr. Dragster Half Scale, with a 7.90 Craws Engine and a 20” Cage Car. The winning bidder will also receive a free Jr. Dragster Training Class with the purchase of the Jr. Dragster Half Scale. Full details along with additional pictures can be found on the auction page for each item. If you would like to place a bid on any of the vehicles for sale, you must be a registered bidder on AuctionDeals.com. Bidder registration is easy and free and can be completed on the AuctionDeals bidder registration page.